The first step to properly applying foundation is to choose a foundation that is close to your skin color—as close as you can possible match it. You don't want to go too light or too dark, or it will be very difficult to blend the make up into your skin and you will have those demarcation make up lines. It is important to remember that you will likely need a different shade of foundation for summer and for winter, as your skin darkens with the sun and lightens in the winter. You also need to choose the right foundation type. If you find it hard to wade among liquid, powder and cream-to-powder foundations, here's the guide to choosing what works best with your skin type. You will need to choose your tool: a foundation brush, a clean make up sponge, or clean hands to apply your foundation. Using your brush, sponge, or fingers; dot a bit of foundation only where you need it and blend from there. Blend foundation outwards towards your hair line. Smooth foundation over your nose and blend it into your cheeks and up towards your forehead. You shouldn’t be able to tell where the make up ends and your natural skin begins. If you are using a sponge make sure you wash your sponge out with hot soapy water and rinse it well for your next application, your brush should be cleansed with a brush cleanser containing an antimicrobial agent. You should wash your hands with hot soapy water as well after you are finished applying your foundation. 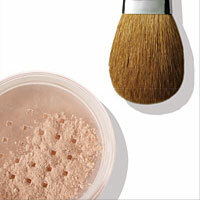 Now with bare Mineral foundations you need to swirl a small amount of mineral foundation into the lid with the special face brush until mineral foundations are tucked into the bristles. Then tap off excess and make sure the mineral foundations are not visible on the outside of the brush. Finally just buff bare minerals onto skin in a swirling, circular motion, starting on the outside of your face near your cheekbones. Then buff around your face, working your way to the cheeks, forehead, and nose and continue until you satisfied with the coverage. 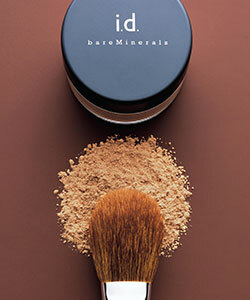 With Mineral Make Up … Less is more. Share or recommend your favorite make up foundation. Submit video, photo or tutorial in any combination. Build your own beauty page. Entering your descriptions or/and video code is easy to do. Just cut and paste the embed code from your favorite video for example from YouTube and paste it in text box. Write your comment before or after video code by just typing it! Your recommended video and text will appear on a Web page exactly the way you enter it here. You can wrap a word in square brackets to make it appear bold. For example [my story] would show as my story on the Web page containing your story.